What are the Best Weight Lifting Tips? One of the most important things to remember when weight lifting is to embrace variety. Weight lifting helps increase muscle mass. Weight lifting is a great way to increase muscle mass, tone the body, and burn fat. Unfortunately, weight lifting is also quite dangerous and can be extremely stressful on the body if done incorrectly. 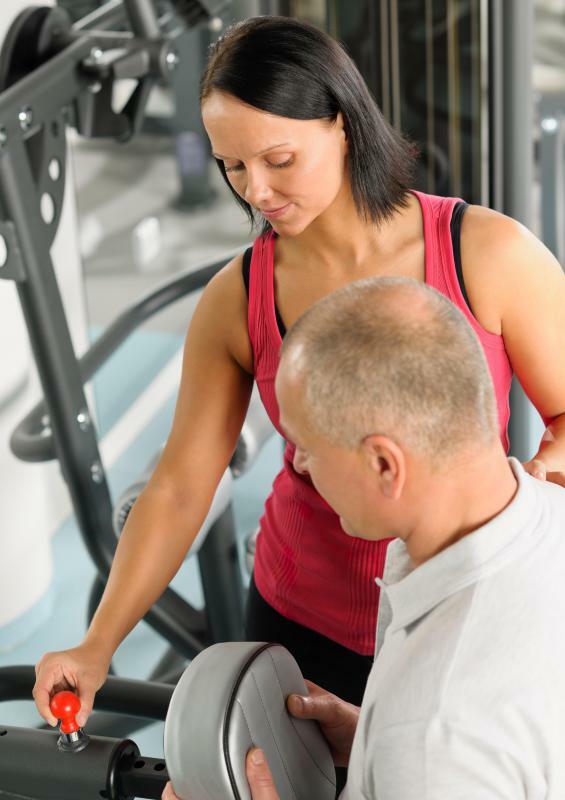 Take advantage of certain tips to help make workouts both safe and effective. One of the most important weight lifting tips to remember is that a person is only in competition against himself. When walking up to a weight machine at the gym, someone may feel daunted and even ashamed to see a weight stack set at 240 lbs (108.8 kg) when he or she usually only lifts 60 lbs (27.2 kg). It is important to remember that each person has his or her own safe level of exercise, and to push beyond that out of embarrassment is a sure path to injury through bad form. Correct weight level is key to proper weight training form, so adding too much weight out of fear or shame may backfire and make a workout far less effective. Any list of weight lifting tips will talk about the importance of form, and for good reason: proper form is critical to effectiveness and preventing injury. It is a common tendency to rely on the strong parts of the body, such as the thighs and trunk, to carry most of the weight. Relying on these muscles means that the correct muscles for an exercise, which are probably weaker to begin with, aren't actually being activated. Constantly performing exercises with bad form can also lead to repetitive stress injuries, as well as muscle fatigue. Take a session with a personal trainer, or ask a more advanced friend to critique weight lifting form to ensure that each move is done correctly. Another of the most important weight lifting tips is to embrace variety. In addition to keeping workouts from being boring, this also keeps muscles guessing as to what's coming next. Doing the same routine in every workout means that the same muscles are being worked the same way, every time. Over time, this may decrease flexibility or lead to uneven toning throughout the body. 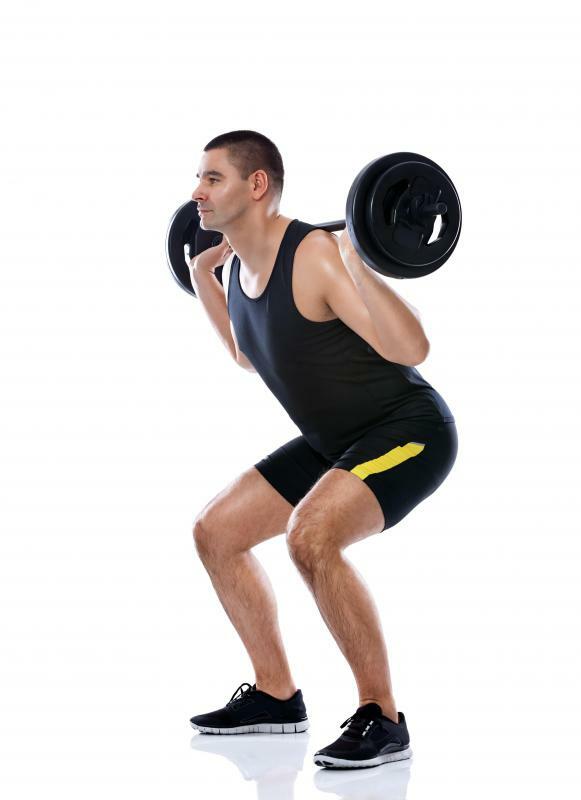 Try to have a few different weight lifting workouts in rotation in order to keep challenging the body. Depending on which fitness expert is asked, it may be stated that it is more important to focus on increasing weight level, or that it is more important to increase repetitions. The basic theory behind these conflicting weight lifting tips is that it is important to keep workouts challenging. As muscles grow stronger, higher weight levels and more sets may be needed to continue progress. Staying at the same weight and the same amount of repetitions will cause muscle gain to plateau. How do I Choose the Best Weight Lifting Workouts? How do I Choose the Best Weight Lifting Shoes? What are the Best Weight Training Tips? What are the Best Weight Lifting Techniques?